Singing praises to the Lord with Fort Scott Harmony. We had a great evening learning about Iraq in the Bible. 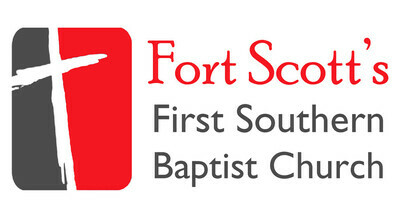 Welcome to First Southern Baptist Church Fort Scott's website. We are delighted to have you visit. Whether this is a one-time visit, you regularly enjoy the resources available here, or you are looking for a church home, we want you to know that we are honored to serve you on behalf of Christ. Above all we hope you sense in these pages the heart of our church. We exist to worship God, to exalt His Son, our Lord Jesus Christ, to nurture and care for one another, and to share the good news about the forgiveness of sins found in Christ alone. We also pray that our unwavering confidence in God’s word is evident, because we believe the Bible is God’s inspired and inerrant Word to us. Scripture is our ultimate authority. It determines our faith (what we believe) and our practice (how we live). In our worship services and throughout every ministry, we pray that you will discover that our central message is the same – the Word of God. If you want to study God’s Word seriously, you’ve come to the right place. 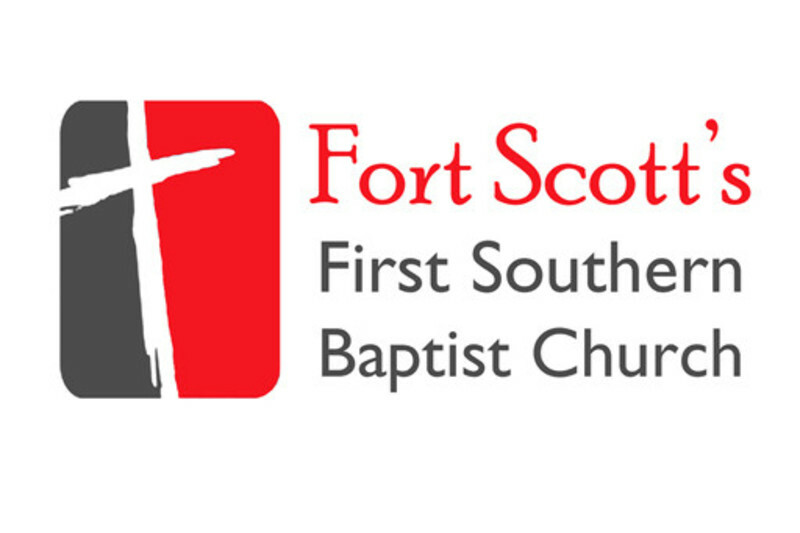 We’ve put this website together to help answer some of the questions you might have about First Southern Baptist Church of Fort Scott. If you have other questions or comments we would love to hear from you. Give us a call at (620) 223-2986 or you can email us at chaplaincollins@hotmail.com. We are located at 1818 S. Main in Fort Scott, Kansas. Thanks again for visiting us today. If you have come to know God through the sacrifice of His Son, it’s our prayer that He will extend His grace to you and peace through our Lord Jesus Christ. Revelation Bible Study Every Sunday Night! The Book of Revelation is the only book of the Bible with a promise to the reader! Why? What makes this book so special? Revelation is a "lens" that puts the entire Bible into focus. The lens is focused on the person of Jesus Christ, and His destiny is imminent. This is a book of victory: We are overcomers! One of the reasons this book strikes us as strange is because of our lack of understanding concerning the Old Testament. The Book of Revelation consists of 404 verses that contain over 800 allusions to the Old Testament. Join us for a chapter by chapter and a verse by verse study of the Book of Revelation each Sunday Night at 6 P.M.
Join us Wednesday at 5 pm as we study the Gospel of Mark, chapter by chapter and verse by verse. Mark's account of the life of Christ moves at a fast pace. It is often called the Gospel of Action. Come and study the Word with us this Wednesday! Our Ladies Bible Study Group meets each Wednesday Morning at 10 am. They are currently working through Seamless: Understanding The Bible As One Complete Story. Join the ladies every Wednesday morning at 10 for a time of prayer, study, and fellowship. You will be blessed! AWANA stands for “Approved Workmen Are Not Ashamed,” which comes from 2 Timothy 2:15, “Be diligent to present yourself approved to God as a workman who does not need to be ashamed, accurately handling the word of truth” AWANA is an international ministry committed to the belief that the greatest impact for Christ starts with children who know, love, and serve Him. It is a long-term discipleship program that uses Bible lessons, scripture memorization, and student/parent/leader relationships to reach families for the gospel of Christ. Each Wednesday night, students can expect to rotate between three stations: Game Time, Large Group, and Small Group. AWANA Clubs are available for Kindergarten through 12th grade. AWANA is a special place to make new friends, play exciting games, and have fun learning and memorizing God’s Word. AWANA is from 6:30 until 8:00 pm. Check out Youtube for our latest sermon! Click on the Youtube Button to go to our Youtube Channel. Join us each Sunday at 9am as we start our morning off with coffee, donuts, and the Word. It's the "Good Morning Club" at Fort Scott's First Southern Baptist Church. Join us weekly for coffee, tea and other refreshments. Join us for church at 10:50 this morning.